An Arizona grandpa received a $30,000 out-of-court settlement for his injuries after two local police slammed the man to the ground during a havoc-filled Black Friday arrest. The city of Buckeye, Arizona, agreed to settle with Jerry Newman, 54, who was injured by less-than-gentle Buckeye police officers during a trip to the town's Walmart on Black Friday 2011, reports AZfamily.com. Newman also sued Walmart and reached a separate settlement that was not disclosed. What claims against Walmart and the City of Buckeye did Newman have? While shopping with his grandson, Newman and the child were caught in a Black Friday frenzy around a "cardboard display with video games." The ordeal ended with Newman attempting to escape the mob by putting one of the coveted video games underneath his shirt, reports AZFamily.com. That's when officers moved in to arrest and subdue Newman as a suspected shoplifter, though witnesses claim he was just trying to "free his hands to help [his grandson]." Police performed a leg sweep that landed the grandfather on his head, reports The Associated Press. The attack left Newman and his wife shaken and prompted their young grandson to start therapy sessions, reports AZfamily.com. The Buckeye police officers who essentially tripped Newman and caused his head injury could have been held liable for using excessive force in trying to apprehend him for shoplifting. To be successful in a lawsuit against the officers, Newman would have had to overcome the officers' qualified immunity, which protects police officers from civil suits due to actions performed while on duty. Instead, Newman sued the City of Buckeye, likely for negligence in training or hiring the officers. Newman's settlement with Walmart was for a smaller amount than his $30,000 from the city, reports AZFamily.com. 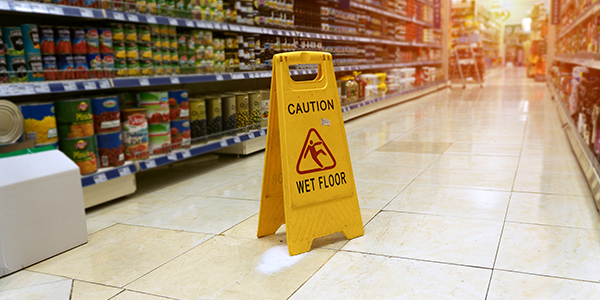 All retail outlets, including Walmart, have a responsibility under the theory of premises liability to remove potential safety hazards, including those caused by poor planning for Black Friday crowds and inadequate security. Shoppers injured in Black Friday-type mobs can potentially sue for their injuries. But as Newman's case illustrates, it may take years to reach a settlement.